Is Tesla Really Being Sabotaged? Tesla CEO Elon Musk is warning his employees to stay alert during an apparent sabotage attempt. If Tesla Inc. (TSLA - Get Report) were a drama TV series, it would have better ratings than some of today's top hits. Or at least, it seems that way from an investor's perspective. The automaker is constantly in the news -- be it for tweets from its CEO calling for a roasting of the short-sellers, Autopilot controversies, financial and production worries, and its tendency to make big promises to shareholders. Today in the Tesla novel of dramas? Sabotage. "I was dismayed to learn this weekend about a Tesla employee who had conducted quite extensive and damaging sabotage to our operations. This included making direct code changes to the Tesla Manufacturing Operating System under false usernames and exporting large amounts of highly sensitive Tesla data to unknown third parties." Musk went on to explain that they have caught the sabotaging worker, who was apparently disgruntled at not receiving a promotion. Perhaps, though, he should just be happy he wasn't a part of the 9% of Tesla's workforce that got fired earlier this month. For Tesla's part, too bad this employee wasn't a part of that group. A different email detailed "another strange incident," this one from Sunday night, which was a small fire in the paint shop. Musk said no one was in the area and that there was no significant equipment damage. The fire was put out quickly and no one was hurt, although it stopped production for a few hours. So what exactly is going on here? The company is investigating the incidences and has apparently caught the perpetrator. The next step is to figure out just how far this apparent sabotage went, who else was involved (if anyone) and what kind of damage may have been done. 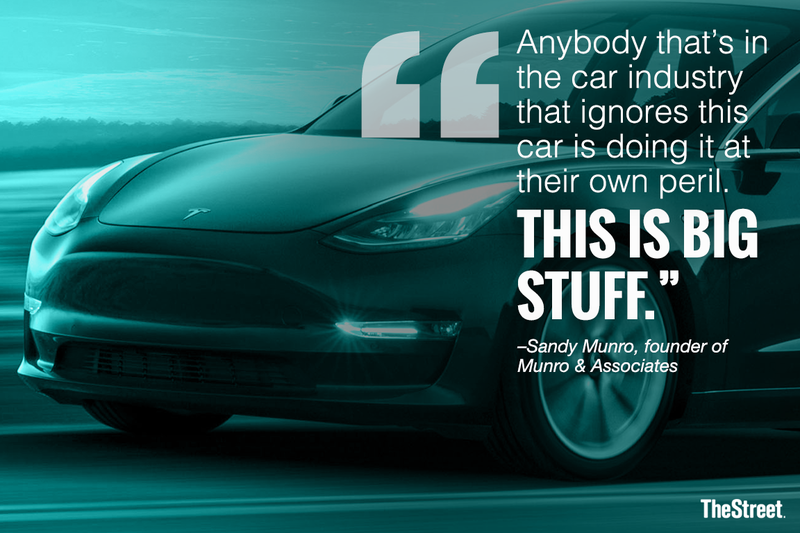 "As you know, there are a long list of organizations that want Tesla to die. These include Wall Street short-sellers, who have already lost billions of dollars and stand to lose a lot more. Then there are the oil & gas companies, the wealthiest industry in the world - they don't love the idea of Tesla advancing the progress of solar power & electric cars. Don't want to blow your mind, but rumor has it that those companies are sometimes not super nice. Then there are the multitude of big gas/diesel car company competitors. If they're willing to cheat so much about emissions, maybe they're willing to cheat in other ways?" For the first time in a while, Tesla stock is feeling the pinch, with shares down about 5.6% to $350 on Tuesday morning. The shorts have surely felt the pressure this month, as shares of Tesla have jumped almost $100 per share from the monthly lows to its highs. And no, I'm not implying that shorts were behind the sabotaging. It's just another interesting twist in the Tesla drama series. One thing I continue to find interesting is the positive clues and jabs that Musk drops in a not-so-subtle fashion. Such as continued references to automaker nearing its production goal of 5,000 Model 3 units per week by early July. Or the fact that shorts "stand to lose a lot more." I can't say for sure that Musk does it on purpose, but he's not afraid to be brash as these emails go public. So my thinking is that, yes, he wants the public to know it's all systems go at Tesla right now and he's not afraid to taunt the short-sellers.